The private details of thousands of children were found on a memory stick dropped by a council worker. The stick, which was found in a second-hand car, also contained confidential information about child protection and whether or not the children's parents claimed state benefits. All the data was unencrypted. A council spokeswoman said: "We take issues of information security very seriously and are very sorry that this breach has occurred. 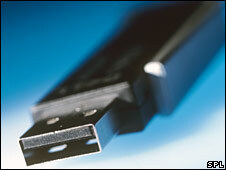 "We have guidance in place which seeks to prevent such incidents occurring including advice on using memory sticks. "The loss was immediately reported by the employee concerned to their line manager and inquiries were made to recover it. Regrettably it could not be located. At the time, it was understood that no sensitive or confidential data was on this stick, so no further action was taken. "Unfortunately, once recovered, it became apparent the memory stick did have sensitive information on it that should not have been there. "As soon as we were made aware of the content, a full investigation into the circumstances of this case was launched and an immediate reminder to all staff is being issued regarding the security of personal and sensitive information. "We are grateful to the member of the public who found and returned the memory stick."